My Rescue Story: Well Hi There!! It's been so long since I have been able to say hi to all of you. Momma has kept me very busy. Now that I have a few minutes I can get caught up. Do you remember when I went to an audition for a movie? I must have made some sort of impression, cause I got mentioned in the newspaper article about the audition & I made the highlight reel, so once again, I dazzled the peeps with my beauty. The winner will be decided by Facebook votes. 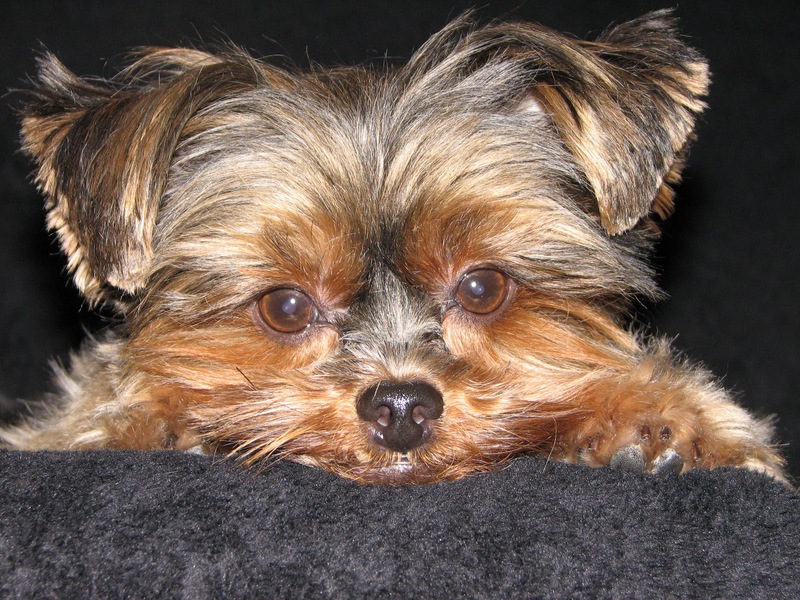 We are voting for a little Yorkie named Tessie. She is very smart and did everything she was asked to do. She even does volunteer work in the community. Her Momma takes her to places where people live that don't have any dogs so that they can pet and play with her, just because she is so nice.You can click on these words and it will take you to where you can vote for her too. From there, you can just click on her picture and then click the word "Like". Whoever has the most likes, wins! Here are a couple of pictures of her. Tessie's Momma and Daddy have a Harley Davidson, so Tessie has a leather jacket, a helmet & goggles so that she can go riding too. They even have a special carrier for her on the bike to keep her very safe. 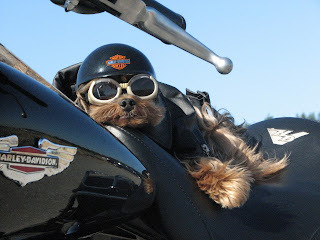 Sometimes if her folks have to stop, Tessie gets to be watchdog & guard the bike. I think she dozes off from time to time though.